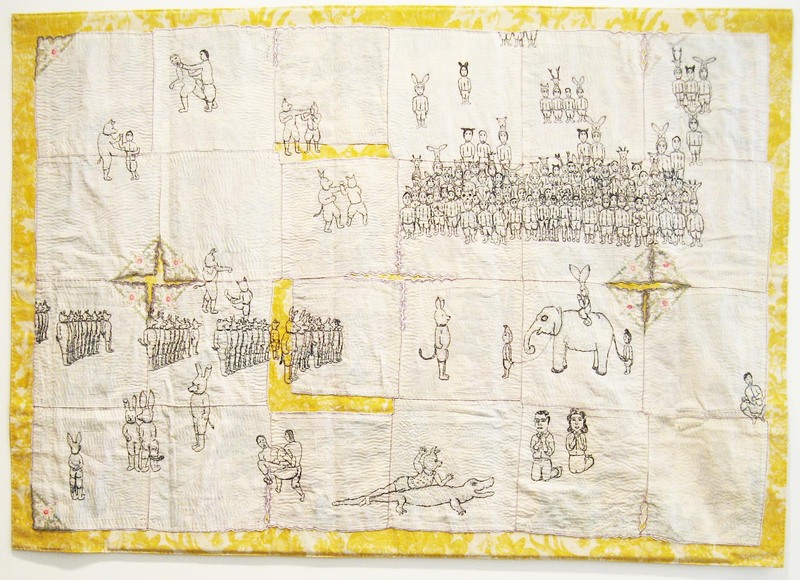 Jakkai Siributr is one of Southeast Asia’s leading contemporary artists working primarily in the textile medium. 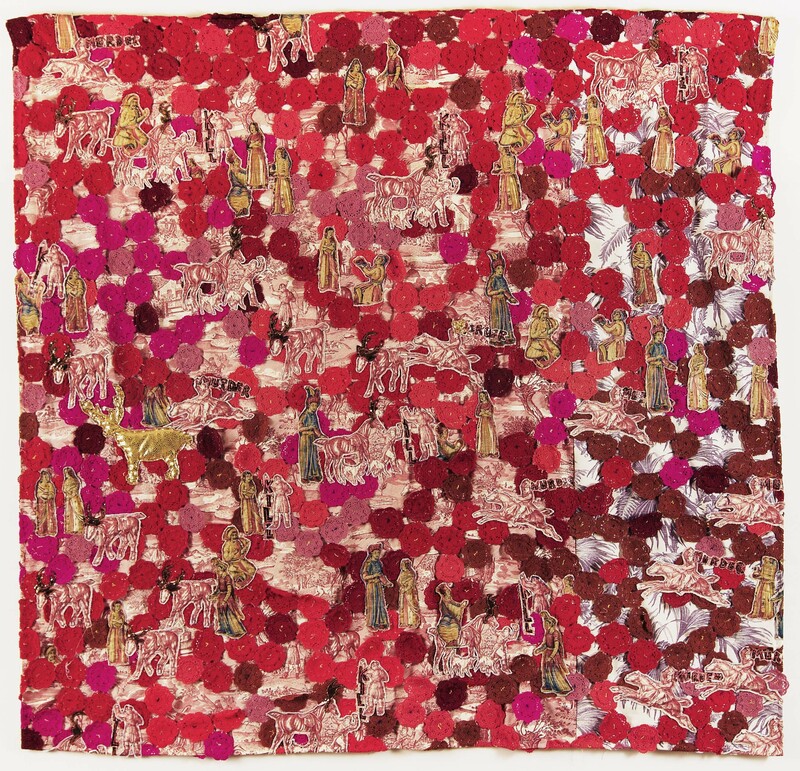 His fascination with textiles and embroidery began as a child in Bangkok, and he went on to study textile design in college and graduate school in the United States before returning to Thailand. 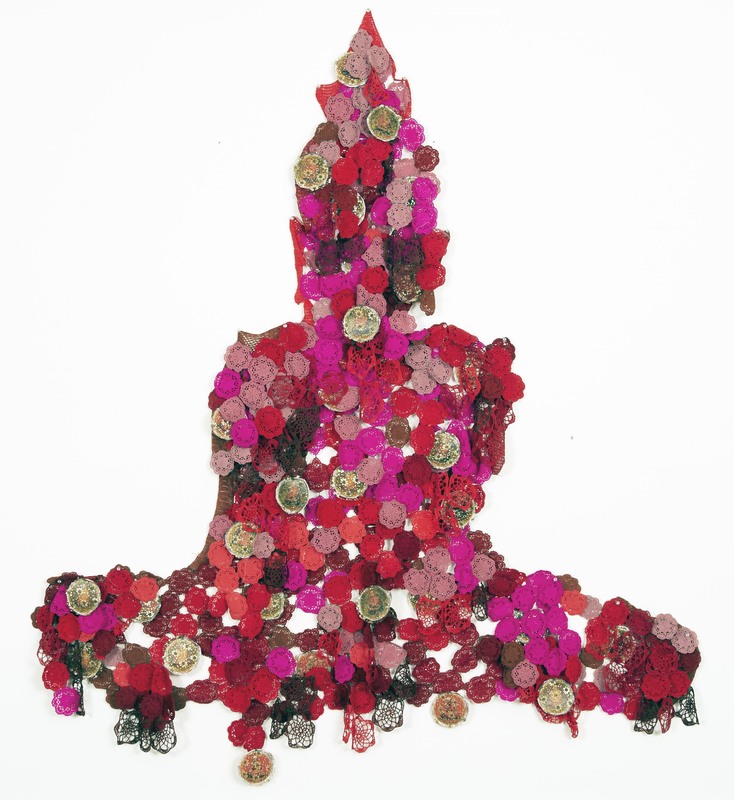 He is noted for producing meticulously handmade tapestry and installation works that make powerful statements about religious, social, and political issues in contemporary Thailand. 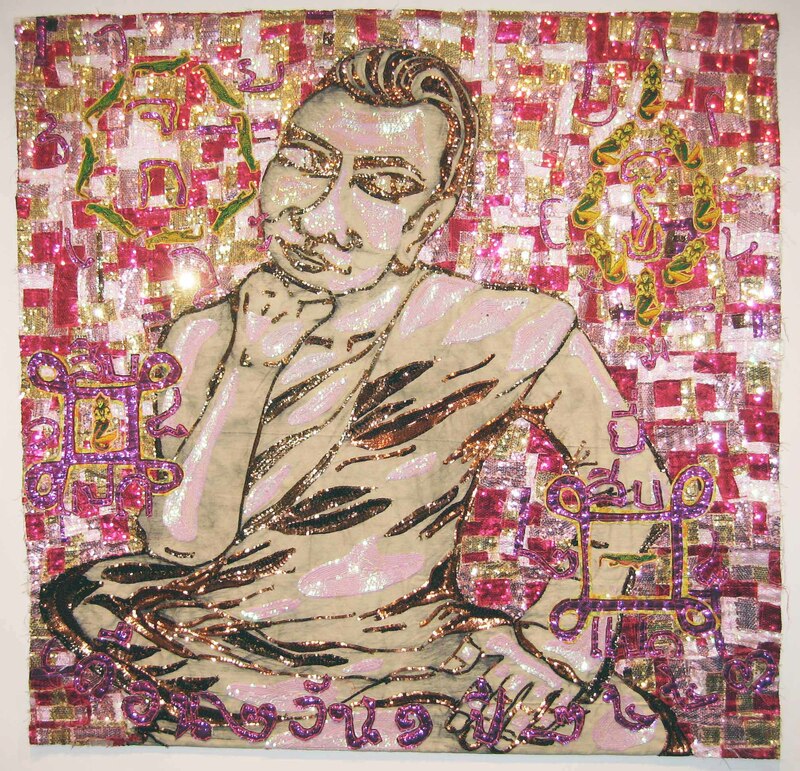 A main preoccupation of his art is the interaction of Buddhism and materialism in modern life, and the everyday popular culture of Thailand. 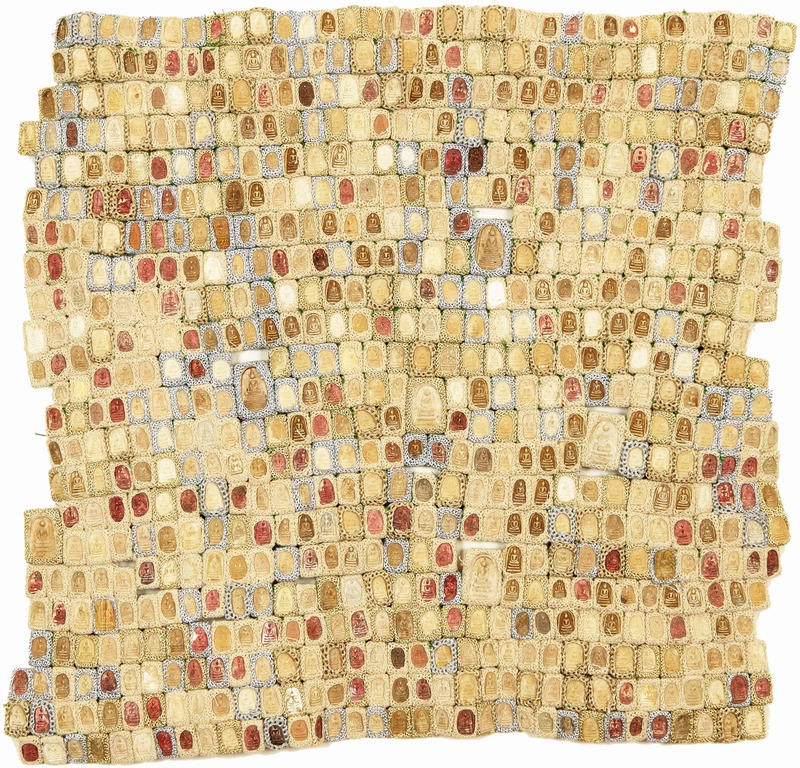 Karma Cash & Carry features a new series of textile compositions alongside installation and video works. 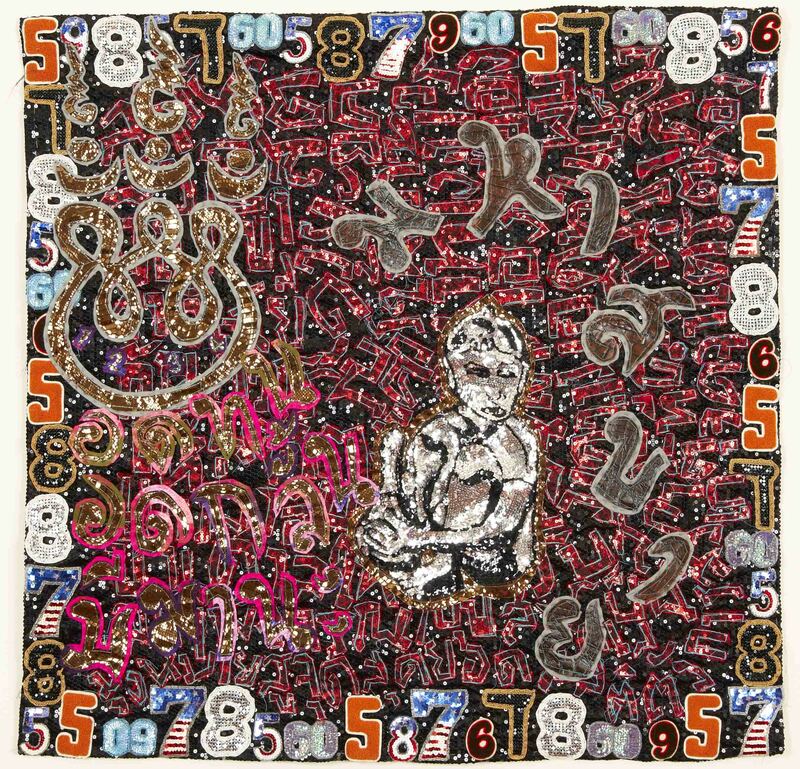 Alluding to the way contemporary Thai popular religion incorporates such practices as fortune telling and winning lottery number prediction, Jakkai organizes the exhibition around his conception of a karmic convenience store, where merit can be bought and sold. 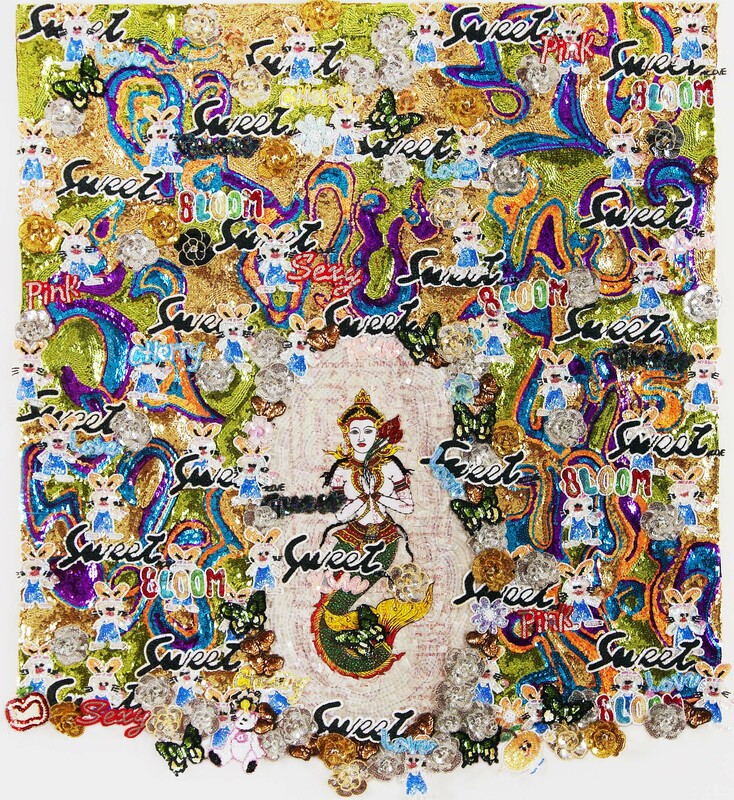 He makes use of found objects associated with bringing good fortune, integrating them into his elaborate compositions of Thai fabrics, embroidery, and hand stitched sequined work. 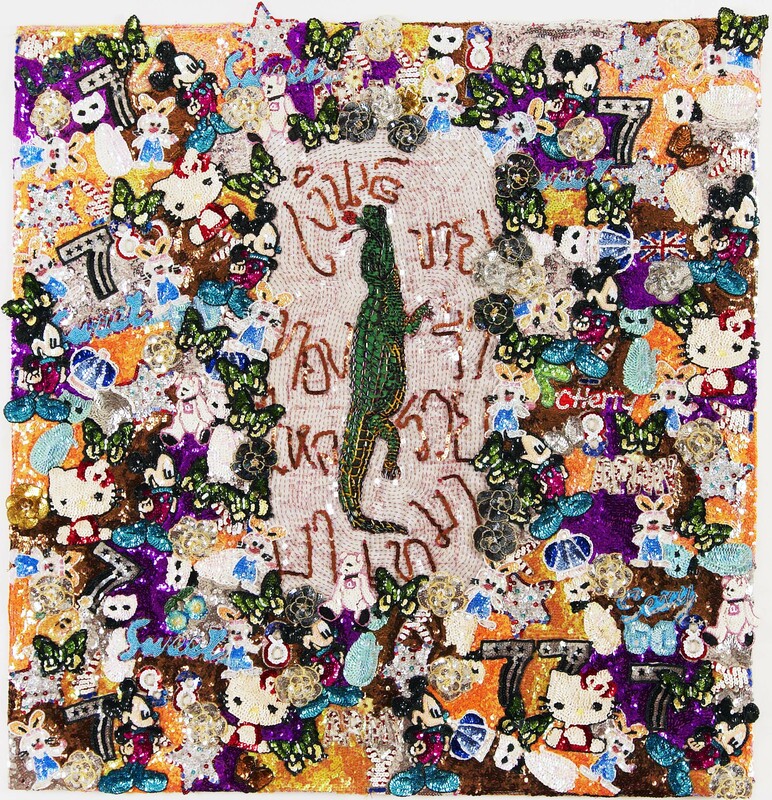 Jakkai’s hand stitching is an incredibly detailed and time consuming process – which he likens to a meditative practice – and this limits his annual production to only a handful of works. 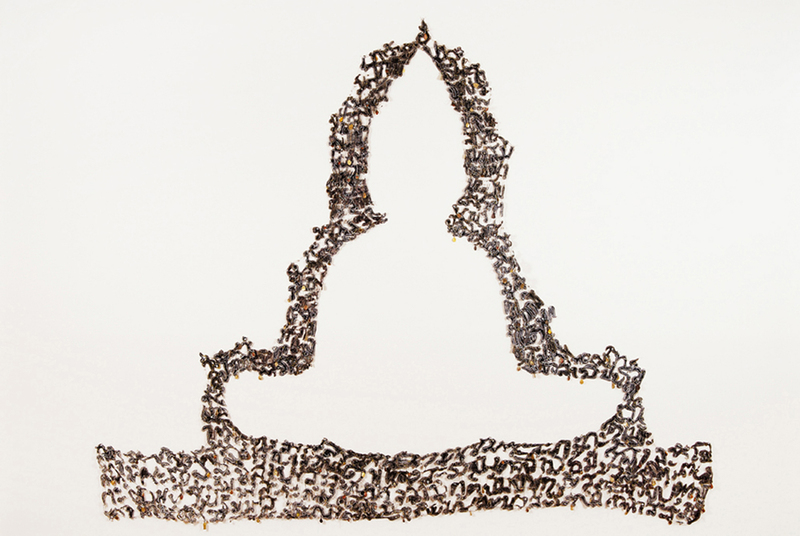 He maintains a rigorous connection to traditional Thai craft techniques while making a strong commentary on contemporary issues. 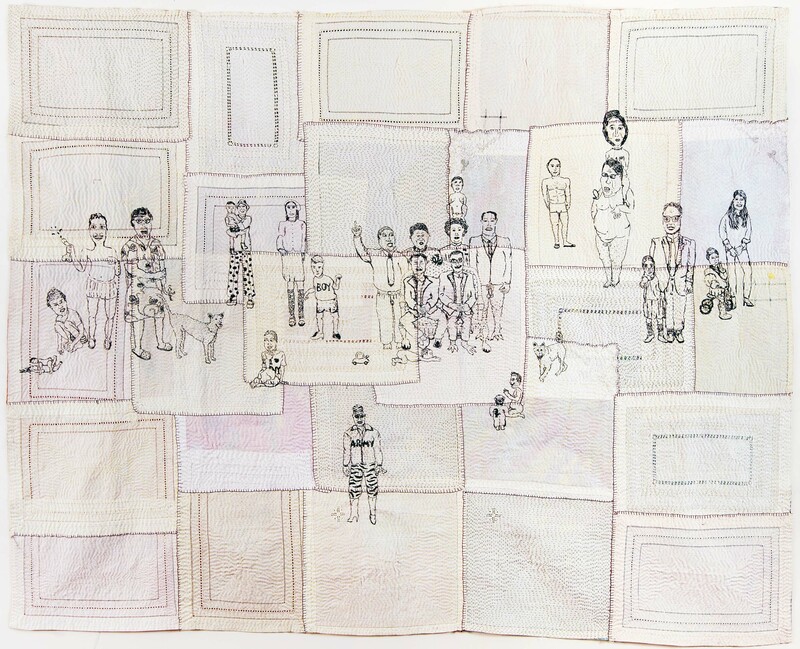 The current exhibition marks a continued exploration of new themes and technical formats, with textile works that break out of the rectilinear tapestry form to create free-flowing shapes. 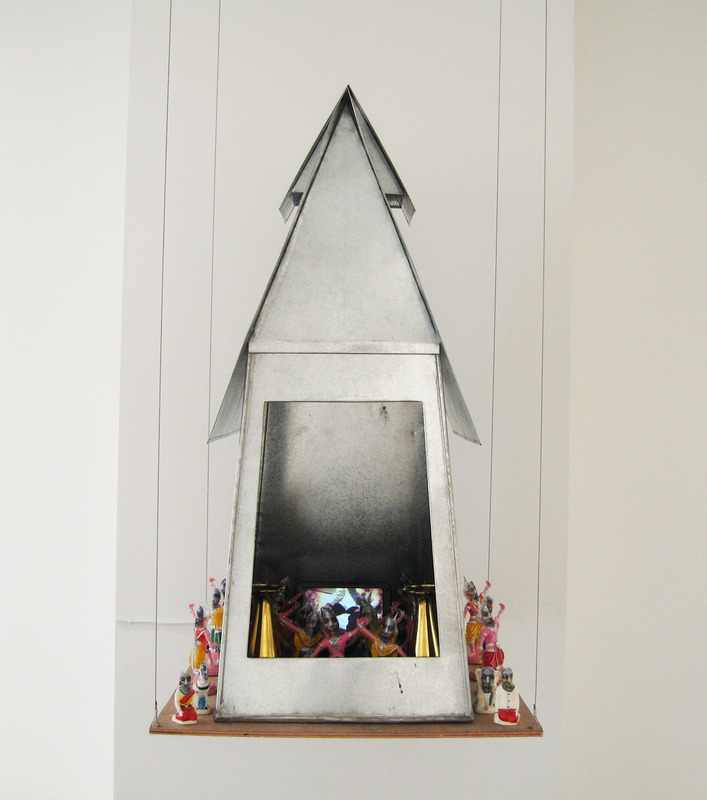 He also introduces video for the first time in his oeuvre, as well as larger scale sculptural installation work. Jakkai has received increasing critical attention since his 2008 solo exhibition with Tyler Rollins Fine Art. 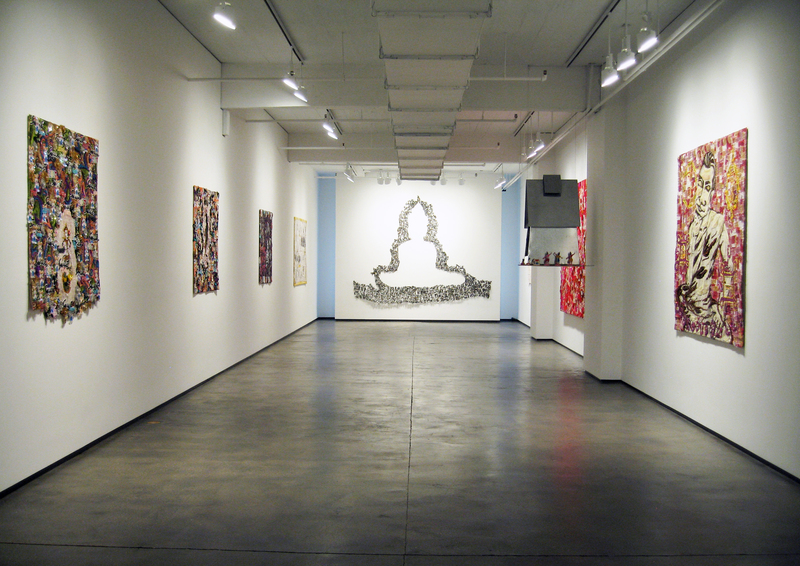 A highlight of 2009 was his participation as a featured artist in the 2009 Asian Art Biennial at the National Taiwan Museum of Fine Arts, where he was shown with noted artists from across Asia, such as Subodh Gupta and Xu Bing. 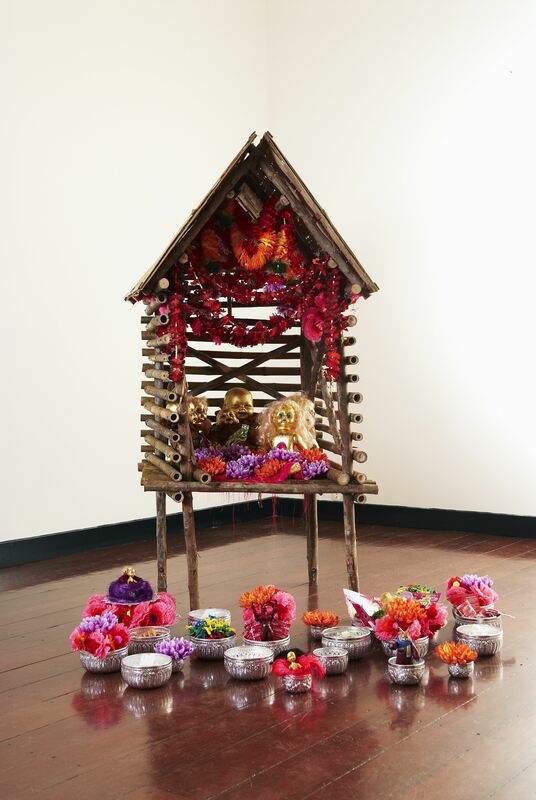 A group exhibition in Thailand presented his works alongside those of multimedia artists from Thailand and India. And in the United States, his works were on exhibit in Miami and at the Rubin Museum in New York. 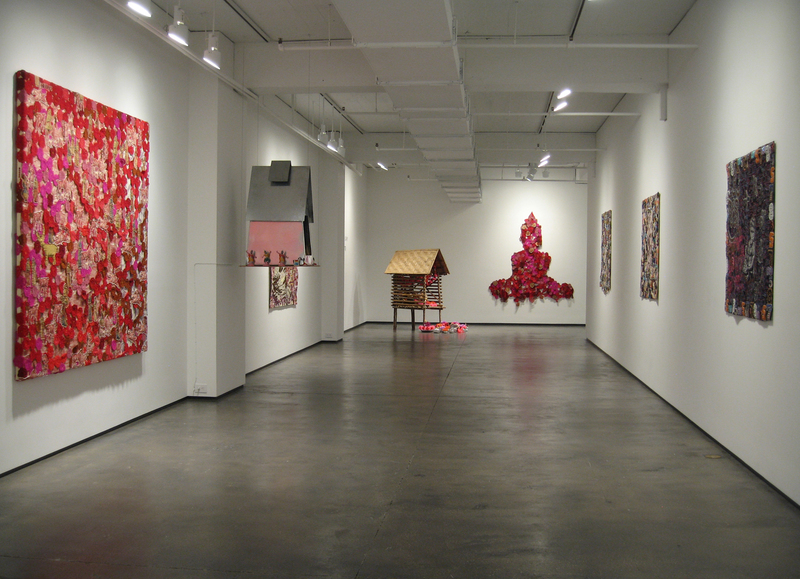 We are pleased to have him back in New York for his second solo exhibition here at the gallery.